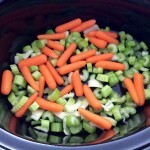 Once you have washed and chopped you can start adding the raw vegetables to the slow cooker. 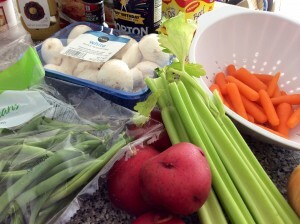 Add the celery and carrots first. Once the sausages are brown remove them from the pan and put them aside until any excess oil has drained off onto a kitchen towel. Keep the sausage oil in the pan and fry the onions until golden brown. Just before the onions are soft and brown add the mushrooms and cook for a few more minutes. 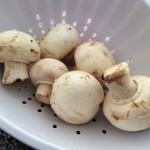 It is not important that the mushrooms are cooked completely as they will finish off in the slow cooker. 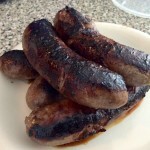 Brown up the sausages before putting them in your slow cooker. 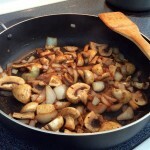 Add flavor to the onions and mushrooms by cooking them in the leftover sausage fat. 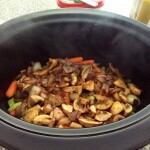 Then add the onions and mushrooms to the slow cooker. 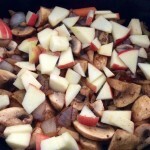 Remove the onion and mushroom mixture from the pan and add this to the slow cooker. Now add the apple slices, potato and green beans. 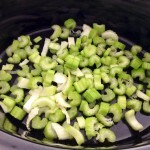 Garnish with cracked black pepper. 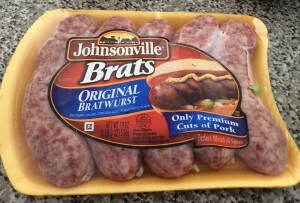 Chop the cooked sausage into large chunks and add this on top of all the vegetables. 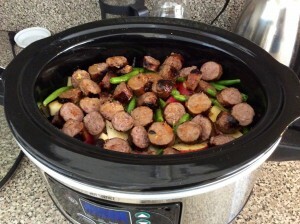 Add the browned and chopped sausages to the slow cooker and pour over the stock. Crumble the Maggi vegetable stock cubes into the same pan you cooked the sausages, onions and mushrooms. Add the mustard and tomato relish and keep over a low heat stirring vigorously until the cubes have dissolved fully into the water. 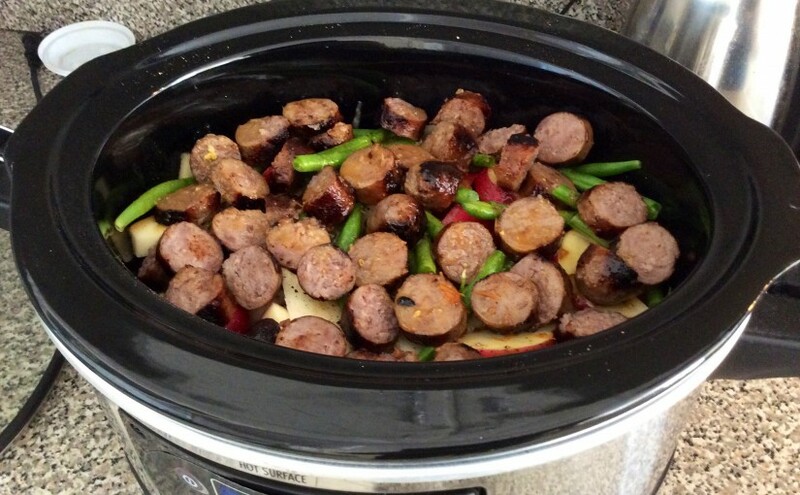 Pour mixture slowly over the sausages and vegetables in the slow cooker. Once cooked stir well and leave on the warm setting if your model supports the function for 15-20 minutes or until ready to serve.